Are Agencies on the Cusp of a Crowdsourcing Revolution? Some of the most valuable brands, like Coca-Cola, Gillette and General Electric, have been around for more than a century. Most of them acquired their iconic status in the golden age of advertising, when consumer packaged goods companies developed branding strategies as they noticed that the quality of their competitors’ products was improving. In this golden age of advertising, companies and their agencies created brands that built emotional connections with consumers, who eagerly listened to stories about the brand and ultimately purchased. Today, brands are counted among the most valuable corporate assets, as Interbrands’ Best Global Brands or Millward-Brown’s Brandz Top 100 rankings show. With the advent of the Internet, social networks and a global co-creative consumer culture, todays’ consumers are no longer willing to sit down and listen. They are an active, engaged and vocal group whose needs have become more sophisticated. Brands are struggling to adapt to this new generation of consumers who are increasingly keen to decide how, when and where they want to be engaged with a brand. Leading companies are increasingly relying on crowds to help them stay close to consumers, innovate their products and their marketing and co-create the story of their brands. The most famous example is the Crash The Super Bowl campaign, which was held for the 7th year in 2012, and saw the hilarious Goat 4 Sale video being aired on TV during Super Bowl XLVII. But this year, Doritos’ Crash The Super Bowl was not the only crowd-sourced campaign anymore. Pepsi, Speed Stick, Dunder Mifflin or Pizza Hut also sourced video footage directly from consumer crowds. It seems that brands engage their consumers in more than just voting; they are asking them to become creative and to actually create stories about their brand. Once considered as a marketing gimmick or a source of low-cost content, crowdsourcing is coming of age and becoming an everyday tool for marketers. 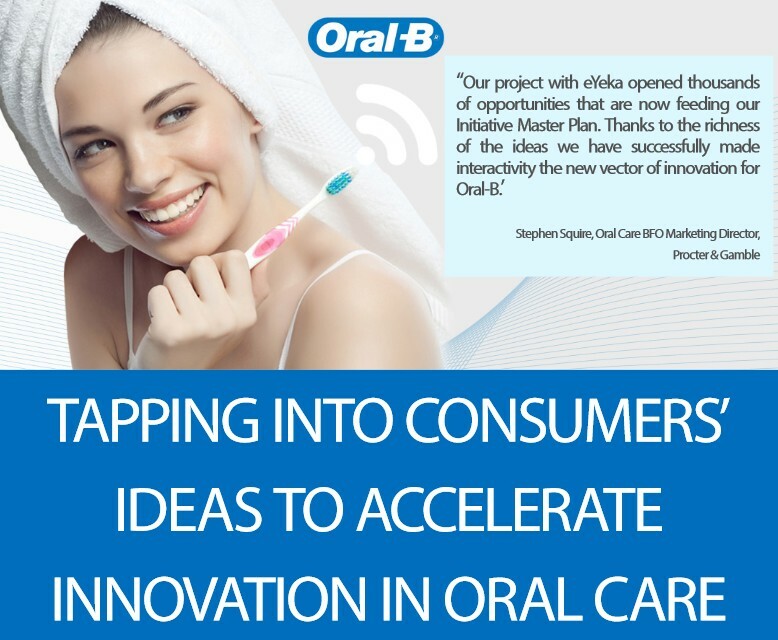 In a world where relevance and time-to-market make the difference, more and more brands are realizing that the true opportunity with crowdsourcing lies in a stronger connection with consumers and an accelerated pace of innovation. 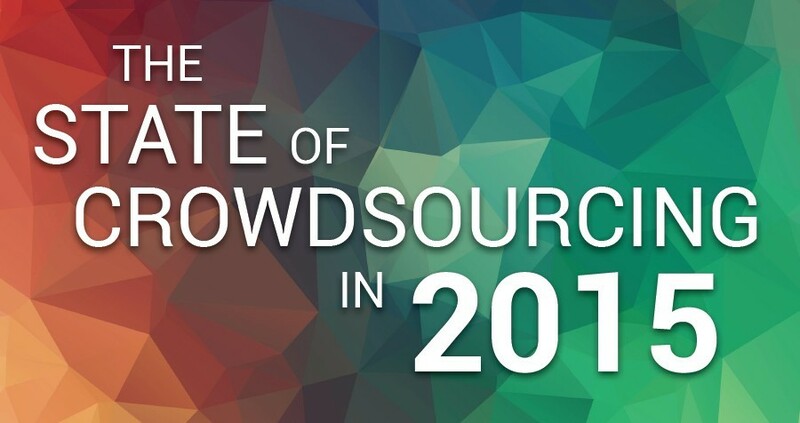 The signals are clear: crowdsourcing is becoming mainstream. In June 2012, Procter & Gamble tapped into consumer creativity to reinvent Pampers’ packaging for modern moms and dads. In collaboration with eYeka, the brand launched a global contest, asking creative individuals to propose ideas that create a better experience when people buy, carry, store and use diapers. Over 80 designs and ideas were received from 39 countries. Procter & Gamble rewarded 3 ideas from China, the Philippines and Colombia that were judged particularly innovative and relevant. Beyond sourcing user generated videos and product design ideas, brands are placing more and more faith in the crowd when it comes to inspiring their local or global brand campaigns. 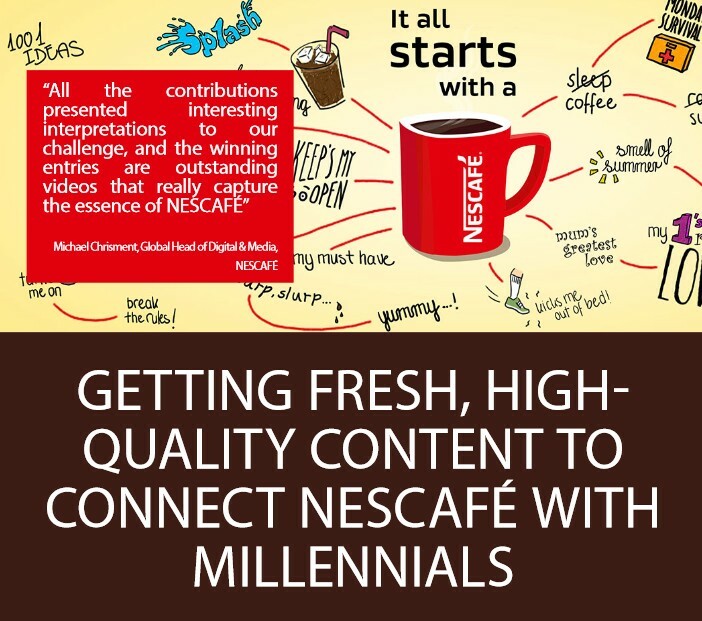 In Singapore, media agency Mindshare devised a campaign called « Me & My Milo » for Milo, a chocolate malt drink from Nestlé, that was facing increased competitive pressure. Milo was looking to reinforce its bond with consumers as a brand people grew-up with and still enjoy today. 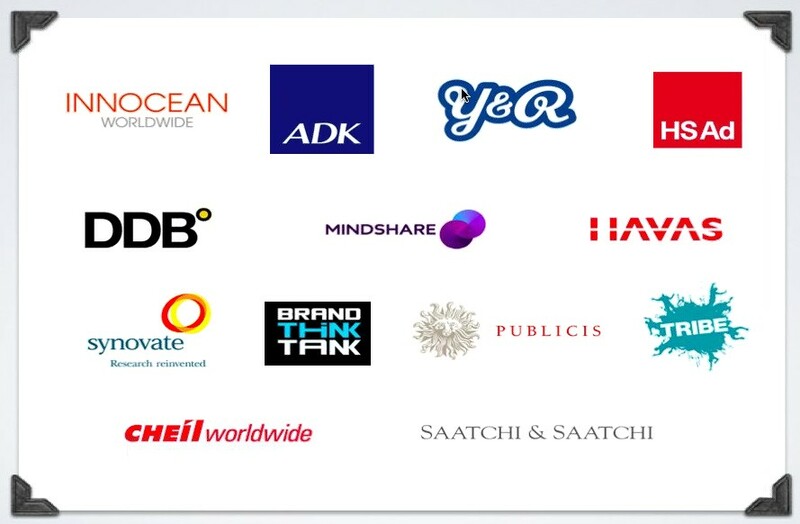 Agencies that use eYeka’s creative playground! Mindshare collaborated with eYeka, which asked its community of creators to share what Milo meant to them through a 30 seconds video/animation and a print ad. The creative brief stressed the emotional bonding element to gather quality, authentic and personal stories that could front the agency’s campaign. In 4 weeks, consumers provided 38 prints and videos from 15 countries, with one winning entry coming from Singapore, screened in cinema and aired on national TV as part of the « Me & My Milo » campaign. What is the return-on-investment (ROI) of crowdsourcing? It is not easy to get numbers about the failure or success of crowdsourcing initiatives, mostly because the phenomenon is still new for brands and agencies. But some anecdotal data is starting to surface which highlight impressive results. For the Milo campaign, the crowd-sourced videos garnered over 500,000 views in under a month with a click-through rate of 5.01% which is 3 times the industry average. The « Me & My Milo » campaign was awarded a MARKies Award in the « Best Idea Social » category, and during the campaign period, Milo’s market share increased by 1.8% compared to the previous year. 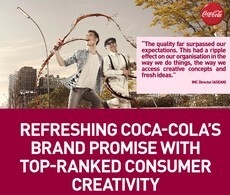 Another anecdotal evidence of crowdsourcing’s ROI comes from Coca-Cola, which recently provided some figures about its Energizing Refreshment project, launched on the eYeka platform in 2011. 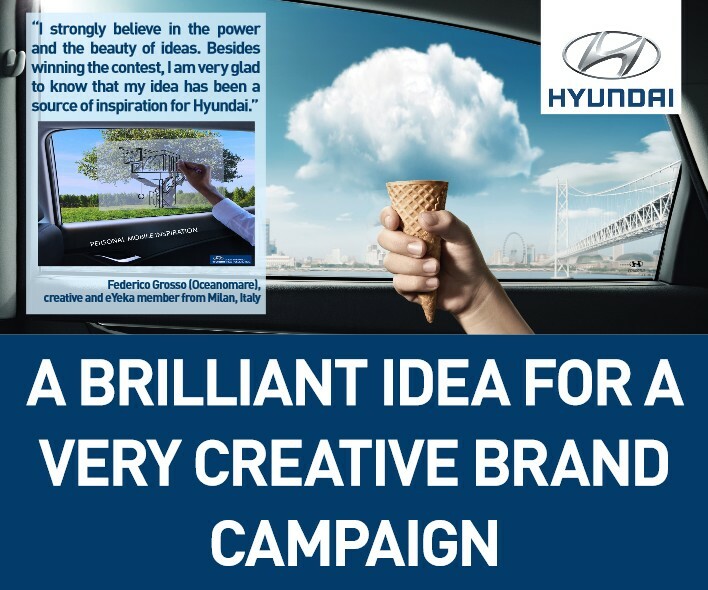 The contest gathered 2,547 entries in 3 months to express “Energizing Refreshment,” and generated worldwide buzz with over 6 million online mentions. Several creative ideas achieved top 10% of all-time best ads in Millward Brown’s Link™ score test, and the company witnessed an internal adoption rate of the creative materials of 100% across markets (compared to an average of 47%). Comparable examples of return-on-investment (ROI) are still scarce in the industry. While Milo and Coca-Cola provide data about the success of their campaigns, it is still difficult to put a number on the outcome of crowdsourcing, especially when it comes to innovation and ideation contests, often for confidentiality reasons. While most of the results are anecdotal, they are indeed encouraging. Among the most common metrics used to gage the success of such initiatives are reductions in time spent finding ideas, cost-efficiency or breakthrough ideas that solve a problem where interested parties could not find a solution. Crowdsourcing can bring a variety of additional benefits: it allows access to a diverse talent pool, provides direct creative feedback from consumers, and can be relatively cheap to organize. 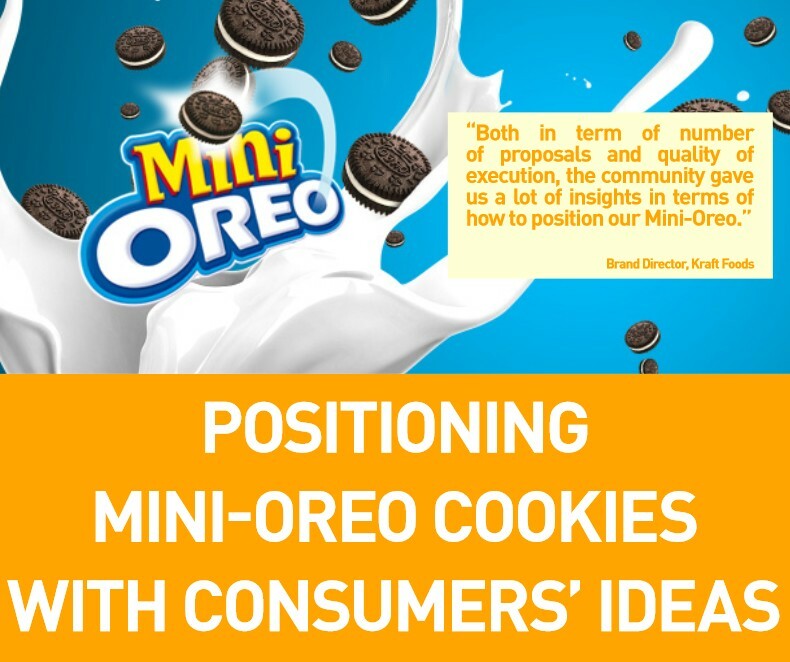 Well-orchestrated crowdsourcing initiatives also allow brands to generate substantial conversations and word-of-mouth buzz. Agencies like Mindshare have been pioneers in using crowdsourcing to engage with consumers, and the trend is spreading in the industry. 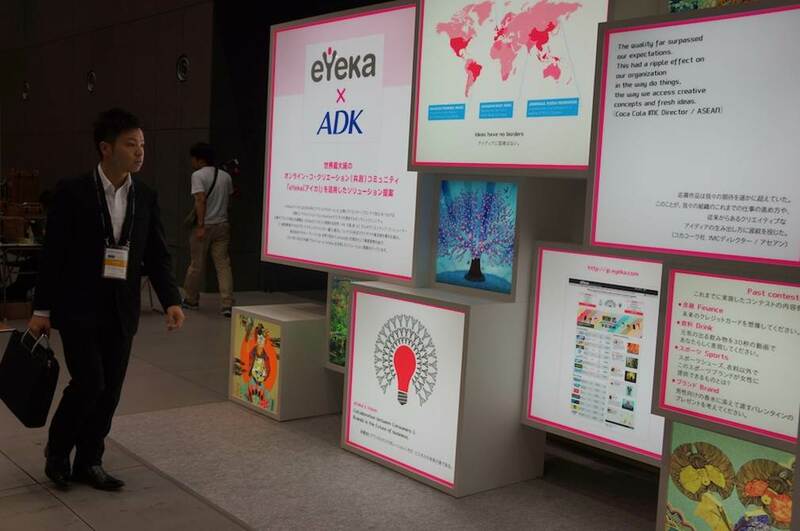 In 2011, the Japanese advertising agency Asatsu-DK (ADK) announced an exclusive partnership with co-creation vendor eYeka, allowing its own clients to tap into the creative power of eYeka’s online community of 250,000 creative individuals. “The duty of an agency is to embrace change before its clients do,” explains Kenichiro Omori, head of the global business division of ADK. “We have decided to integrate consumer ideas from start to fuel creative ideas, to produce fresher campaigns that will truly resonate with audiences worldwide.” By doing so, ADK has become the first major marketing group in the world that is strategically investing in co-creation with consumers. While ADK was probably the first, it is not the only agency to have invested in co-creation and crowdsourcing. Havas, the French holding company that owns agencies like Havas Worldwide and Arnold Worldwide, has recently acquired Victors & Spoils, the world’s first creative ad agency built on crowdsourcing principles. For the CEO of Havas, the crowdsourcing model adopted by Victors & Spoils is challenging the advertising industry, and agencies need to embrace the change rather than to fight it. The company appointed Victors & Spoils’ co-founder and CEO, John Winsor, as chief innovation officer. His task is now to create a 15,000-person Havas Crowd, using the employees of Havas and making them collaborate on transversal projects. This constitutes another way for agencies to embrace the crowdsourcing revolution. « Would the turkey vote for Thanksgiving?” David Jones once said when asked if agencies will one day embrace crowdsourcing. 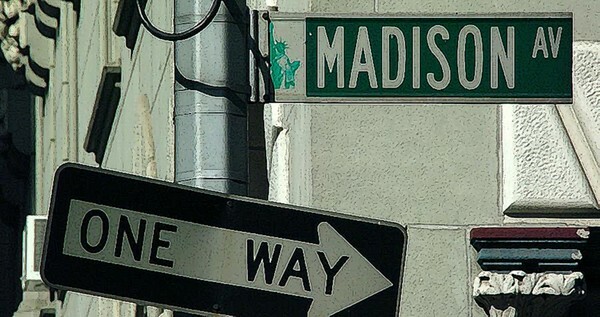 With a stream of new projects yielding impressive, tangible results and a growing appetite from brands to tap into the collective creative power of the crowd, it is clear that this is no longer business as usual on Madison Avenue. Traditional agencies that pride themselves on their creative strength will have to become more open, changing from being not just creators, but also curators of ideas. By involving crowds, agencies and brands can build a new eco-system where they can tap into a wider pool of talents to accelerate their communication cycles with the right ideas for the right market. It looks like the turkey will have a stab at writing the next Thanksgiving menu after all. This entry was posted in Trends & prospective, What a participative world and tagged advertising, creativity, crowdsourcing. Bookmark the permalink. One Response to Are Agencies on the Cusp of a Crowdsourcing Revolution?